Here’s one of the most important issues with blogging. Every business leader wants answers for how blogging will perform. In fact, business leaders like yourself want to understand how all digital media will succeed for your company. Social media marketers, bloggers and everyone else in the digital world will tell you tons of metrics and key performance indicators. But does anyone really focus on the one true metric you need to know as a business executive? That is the one metric that matters in business. As the leader in your company you need to report on profit. That’s all that matters. We can discuss traffic, conversions, conversion rate, fans, followers and likes all day, but when the the month is over and the bottom line report is due there is one number that matters. Social media, blogging and all digital marketing efforts need to report in profit. Here’s an example of the problem. From this report I can see that CMOs are looking for answers. And overall, the execs expressed concern that they had been able to link their social-media strategy to business objectives. I’ve worked in the corporate world. The bosses are smart individuals. They want to understand what is causing the bottom line to look a certain way. Everything revolves around profit. Even something like keeping up company morale ends up impacting the bottom line. All decisions made revolve around profit and growing the company. Executives think this way because that is how businesses succeed and smart people become good executives because they understand this simple fact. So if you’re a marketing executive that is wondering how you should track your blogging success, the answer is profit. Measure the success in pure profit. The classic example in marketing is to do a holdout test. This test is done by segmenting your customers with one group getting nothing and the other group receiving the new marketing effort. If the test group provides more profit (revenue minus additional cost) then you have a winning program. This is a little more difficult with blogging, but you can do it. You can do a 6 month test where you hold off on new marketing initiatives. Blogging can become the only new method used. You set a benchmark and determine if blogging provides additional profit. A blog is a great way to gain email subscribers. These subscribers will have a different value than the subscribers that have purchased already so be sure to segment. Once you gain subscribers from your blog you can market to them with an email program. Track the profit generate from this list. Determine what each additional subscriber is worth and place that requirement on the blogging efforts. 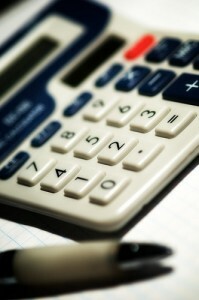 There are other ways to measure profit with a company blog. What do you use in your company? When it comes down to it there is only one real metric in digital marketing: profit. Require it with any blogging effort you begin.